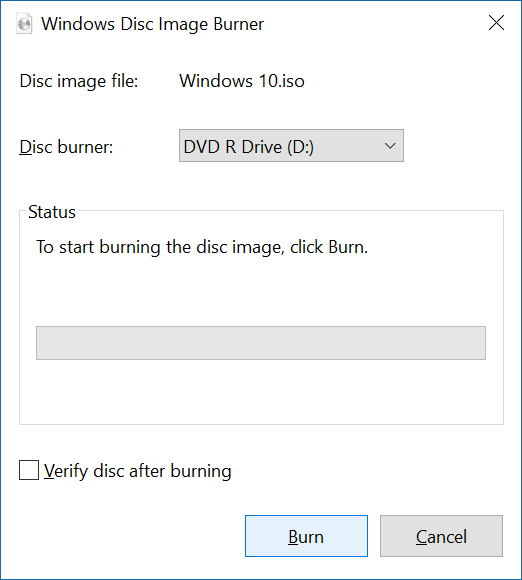 In Windows, you typically are able to download a .ISO file, right click on it, and burn it via your CD/DVD drive using the Windows Disc Image Burner application. Unfortunately, for whatever reason my machine is missing this menu item. 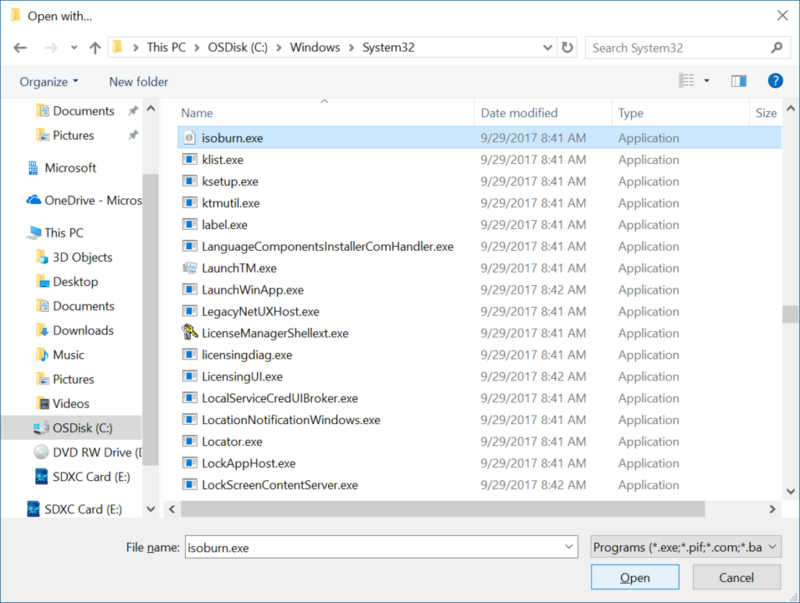 A quick workaround that doesn’t involve any registry hacks is to simply right click on the file, select Open With, and select Choose another app. 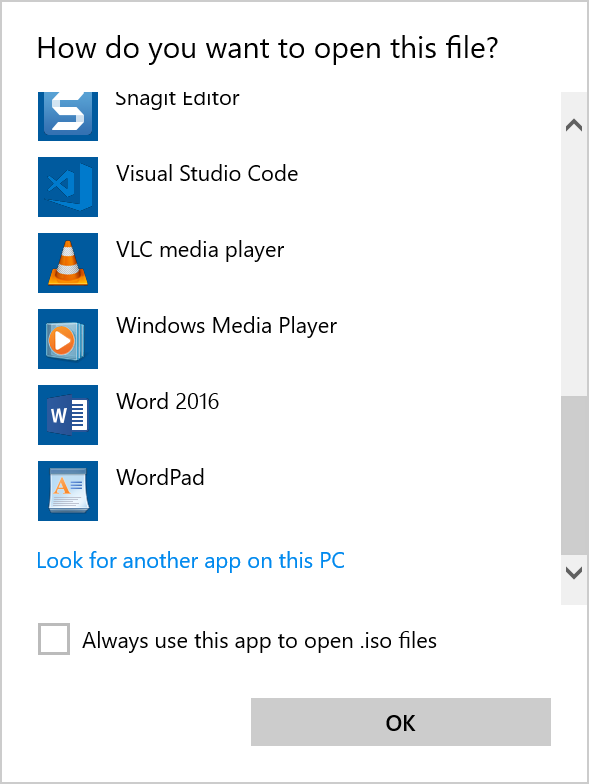 Select More apps and scroll to the bottom and select Look for another app on this PC. 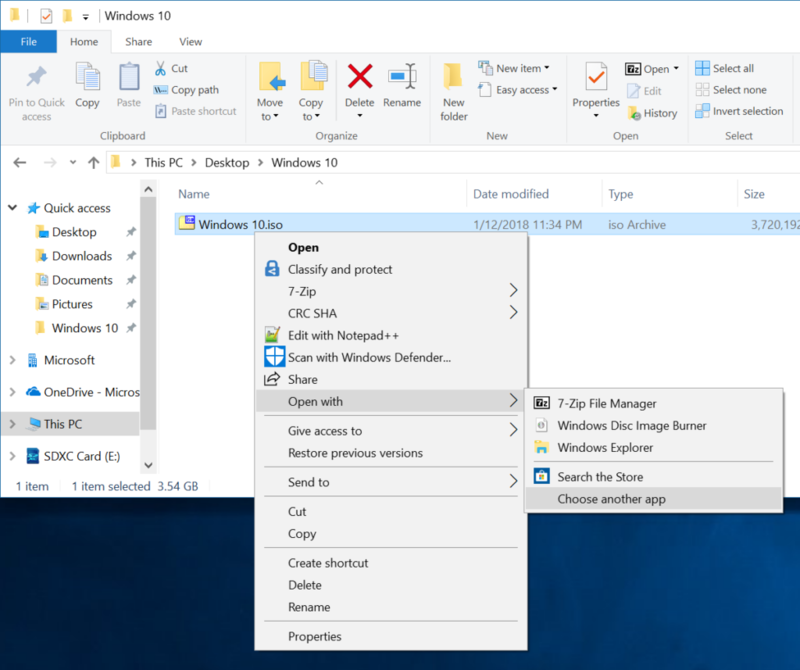 This entry was posted in Uncategorized and tagged burn iso, right click menu, Windows 10, Windows Disc Image Burner on January 13, 2018 by Jack. nice! i have no idea how my clean installed windows 10 didn’t come up with the iso burner in the menu but this is a fix I wouldn’t have figured out !! I’d hug you if you were here! Found the isoburn.exe file and it works like a charm! Now if you could help me with the stupid ‘insert disc’ error message I get when trying to play dvd, I’ll even donate! I have done all the steps to try to fix and hopefully its something as simple as a default app needing to be assigned again. Please let me know if you are familiar with this problem?? Super helpful! Thanks a lot! Wonderful help. Thank you kindly for the info. I knew there was a burner but couldn’t find it in the menu til I saw this post. Thanks a lot. You saved me a couple of hours of work.